Ocean Jasper is known as a stone of happiness. It bestows clarity whilst also promoting positive thoughts and actions. It helps to release stress and bitterness and is beneficial to those who suffer from depression as it lifts the cloud of darkness. Its power lies in its ability to awaken the individual to self destructive tendencies or addictive traits which are harmful to ones well being. In a healing capacity it works on the endocrine, glandular and immune system. It is also beneficial for circulation and the digestive system. Here I have added labradorite. This is a stone of magic, power and good luck. For healing ability it helps develop the hands' sensitivity, making it useful for physiotherapists and all who use the power of touch to heal. It is also helpful in treating eye and brain disorders, and helps regulate metabolism and the digestive process. It can be effective in alleviating bone issues, disorders of the spinal column and the wear and tear of the joints. Rheumatism and arthritis may also benefit from this stone's healing powers. Labradorite's mystical ability includes awakening one's own awareness of inner spirit, intuition and psychic abilities. It tempers the negative side of our personality, the traits and actions that rob our energy and may produce depression or shame. it allows you to see through illusions and determine the actual form of your dreams and goals. This stone also stimulates enthusiasm and imagination. 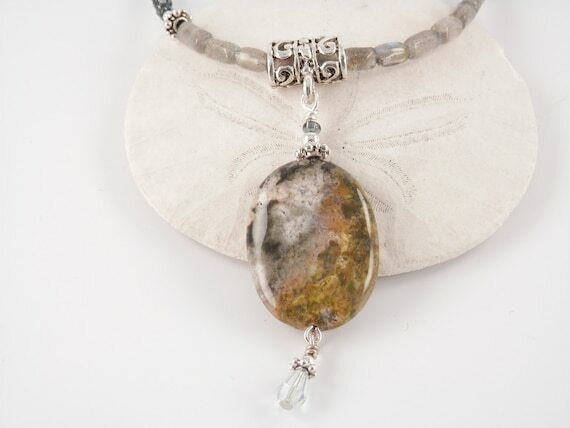 This ocean jasper pendant hangs on a strand of freshwater pearls and grey glass seed beads. These stones remind me of what you might see out the window of a spaceship, looking down at a world from above. If you look closely at this one you can see an inclusion of crystals, similar to a geode. The metal beads and toggle clasp are pewter. This pretty one sold its first day on display. As always the stone trivia presented here is not meant as medical advice. Peridot is a symbol of fame, dignity, and protection. It is a birthstone for July 23 - Aug. 22 it is also the wedding anniversary gemstone for the 16th year of marriage. Healing ability: Increases strength & physical vitality. Protects against nervousness and aids in healing hurt feelings. It helps liver & adrenal function. Thought to protect lungs, sinuses, and wrists from illness and injury. Mystical power: Helps dreams become reality. It is believed to attract love. Calms a raging anger. Dispels negative emotions, and promotes sleep when worn to bed. Legend has it that pirates favored it to protect them against evil. Brings the wearer success, peace, and good luck. As always the stone trivia provided here is not meant to serve as medical advice. What attracted me to these stones was their shape. I knew they would make some sweet little necklaces.Picture Jasper promotes emotional balance and wellbeing. In a healing capacity it works on the immune system and helps to alleviate stress. Picture jasper with smokey topaz and glass seed beads. Pewter toggle clasp. This one is available in my online shop. Left: Picture jasper with pewter and dark brown glass seed beads. Center: Picture jasper with gold freshwater pearls and brown glass seed beads, pewter toggle clasp. This version of Dragon's Blood Jasper is a very gentle green. I have accented them with other stones. Dragons Blood Jasper is a very protective and grounding stone. It brings joy to community interactions. It is also said to increase courage, energy and strength. This Australian jasper is known for physical heart healing and its grounding spiritual energy through the heart chakra. It calls forth the gentle strengths of love, forgiveness, & compassion - the only energies that can tame the inner dragon. Shop Local. Shop Handmade - Shop Small Everyday! While this is the last of my 30 day series, I hope you will consider adding some shop small alternatives to your everyday shopping routines. Two great things about shopping locally: comfort and discovery. The comfort of knowing you are contributing your community and the discovery of finding new businesses with unique items that the big box stores do not carry. Purchases, even the small ones, have power. Buying local injects desperately needed money into the economy. And if you can't shop local this season at least you can shop small and handmade onlne. Below I have a recap of the artisans I have featured during the last 30 days for easy access. Shop small all year! Shop Local, Shop Handmade - Day 29 ...Let's Eat! Do you have favorite small locally owned restaurants in your area? This is a great way to shop local and have a nice evening out. There are a couple in my neighborhood I patronize. Bay Street Bistro is is at the top of my short list. Everything I have had there has been scrumptious. They also now have a small outlet in our downtown Public Market called Carters & Company where you can get soups and lunch fare as well as the yummy Carter's ice cream, chocolates and desserts. In the same vicinity are two other favorite spots, Amy's on the Bay and the 110 Lounge, a martini bar. For quick casual fare I like Blue Agave Mexican Grill. Don't let the cafeteria style ordering put you off. The food is fresh and tasty while the portions are ample. If you follow any of the above links you be taken to their webpages for directions, menus and hours. So as you are making plans to dine out this season, be sure to include some locally owned establishments in your plans. Shop Local, Shop Handmade - Make Your Own! If you are the crafty sort it is not too late to make your own gift. There are local shops and studios where you can buy supplies or even take a class. Just Google what you are looking for in your community and you will find many options. For folks in my area, one such place is Echo Art Works Bead Shop & Gallery on Callow Ave in Bremerton. Beth, the owner, teaches a variety of classes to get you started. And the shop has all the things you will need to create beautiful gifts. I shop there for some of my own supplies. Basic classes on beading and wire work. Fridays she offers several make-it-take-it options. All are reasonable priced. Another fun option is Evening with Glass offered by Eastern Wind Glass, also in downtown Bremerton just off of Callow on Burwell. This month's offering is on Dec 18th. You will make a fused glass plate. Check out their Facebook page for details. Dixie, the owner, also has many supplies for glass crafting. Check out the list of classes to make ornaments and other items on their website. As I wind down this month long series on ways to shop local and handmade, here are some products to help you wind down from the stresses of life. Olympic Lavender™ , is one of the founding farms of the original Sequim lavender farm movement that started it all back in 1995. Marco and Christa Hermosillo took over this certified organic heritage lavender farm on the beautiful Olympic Peninsula last year and have done amazing thigns with it.Nestled in the fertile soils of the Sequim-Dungeness valley, their farm grows many premium varieties of lavender flowers, distills lavender essential oils, and creates artisan, hand-made lavender products and gifts for your pleasure. They partner with a number of community organizations and events throughout the year, highlighted by the Annual Sequim Lavender Farm Farm Tour & Fair™ , part of the Sequim Lavender Weekend, every third weekend of July. They use certified organic lavender flowers/buds and certified organic lavender essential oils in the products they create. They also use natural and vegan ingredients when ever possible. You will find a selection of bath and body products as well as lavender for your kitchen available on their website. You can shop from their website or visit them on Facebook, Pinterest, Twitter, and Instagram as well. If you want a nice road trip go visit the farm in person. They are just a couple hours west of Seattle and just a ferry ride away from Victoria, British Columbia. 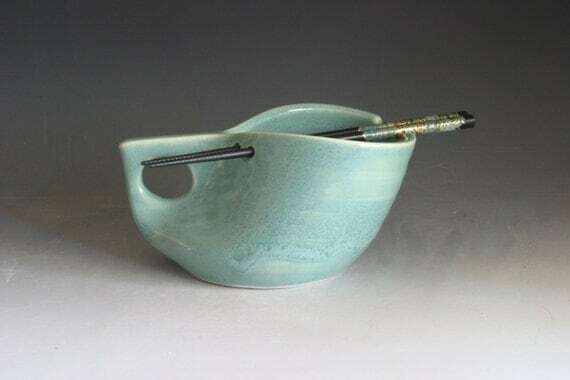 If you have attended my studio sales before then you have seen Linda's beautiful pottery. She describes her work as whimsical, hand built, painted porcelain that is functional and sculptural. I can attest to all that and more! Plates, bowls, cups, serving pieces and pitchers. Tiles and sculptures. Bird houses and feeders, garden stakes and birdbaths. There is something for every taste.And the detail on many of her pieces is amazing. 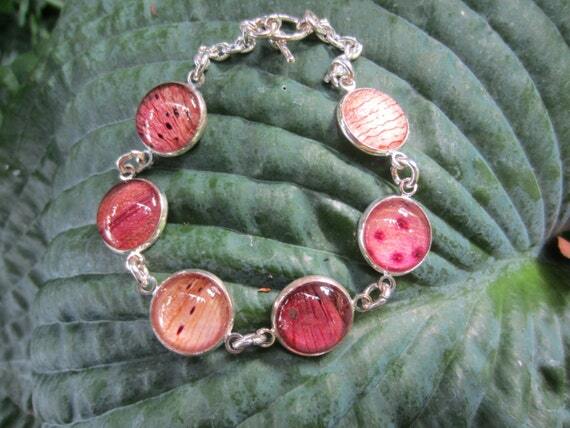 You can view many more of Linda's creations on her Facebook page. You can also see her work at shops in Poulsbo as well as the Port Orchard Farmer's market and occasionally during the Silverdale Art Walk. If you are an online shopper you can still find locally handcrafted goods. There are several websites to take a peek at, Artfire, Bonanza, Aftcra and Zibbet are a few of the better known ones based in the U.S.
Just listed in Beadware's online Etsy shop. The largest marketplace, and the one where you will find Beadware, is Etsy. To shop local on Etsy you will need to first register with the site so it knows where you live, then scroll down the home page and towards the bottom right you will find a link that says Shop Local. You then put in where you want to shop. A page showing items from local sellers opens. To ensure you are only lokinig at hand crafted products be sure and select Handmade and then the type of item you are searching for. Be warned there is so much to see her that you may find yourself addicted!! Hopefully you have been able to do some of your holiday shopping at the many recent bazaars packed with handcrafted goods. Even though those are winding down for the season there are still opportunities to shop local and or handmade. Look for small galleries in your town that feature handcrafted art by local artisans. In my neck of the woods that would be shops like Crazy Lady on Bay Street or one of the many galleries in Poulsbo. I am sure there are several in your own town. So many reason to shop local!! Are the stresses of the holidays starting to catch up with you? Do you have someone on your list that does not need more "things"? Would a massage or gift certificate for one cure this? Julene at Kitsap Therapeutic Medical Massage & Bodywork, LLC can provide what you need! Located at 871 Bethel Road in Port Orchard, Julene uses a blend of intuitive and traditional therapies to promote holistic healing.She offers a variety of massage using several techniques: medical massage, myofacial releasing, Swedish, deep tissue, hot stone, reflexology, stress reduction, pain relief and injury treatment. Reiki and reiki classes are also offered. For stress reduction tips head to her Facebook page. Have a stress free holiday while supporting a local business. The money you spend will in turn go back into our local economy. Spread the holiday cheer! If silver jewelry is on your holiday shopping list you should check out the work of SuStudio. 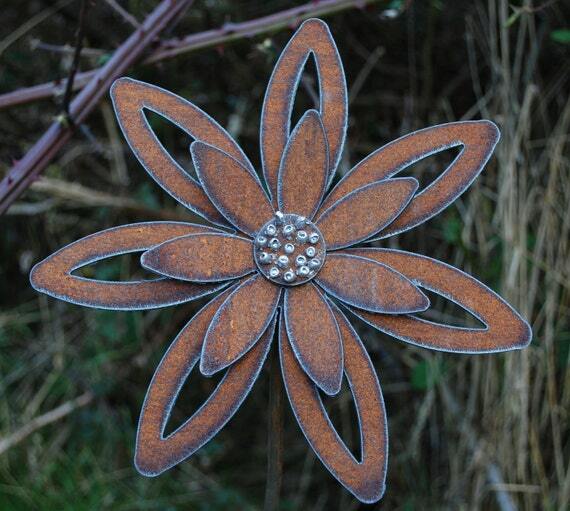 Susanna says that her passion is making beautiful things out of metal and stones. She is constantly looking for inspiration in her surroundings whether man-made or natural. She tries not just to 'look' but to really 'see' and then to translate that into a simple but truly unique design. She is a firm believer in the concept of ‘less is more’. As a result, her designs are simple, yet different, with clean lines. Making simple, but unique designs is sometimes very challenging because there are less components to work with and it is this challenge that she loves. You find Susann at Tidefest in Gig Harbor this weekend, or go to her website to shop online. Follow her on Facebook to see her latest designs. This weekend at Tidefest you will find these new beauties in my booth. Turritella Agate had been a very popular stone. It is named after the turritella snail which is fossilized in this stone found in Wyoming. If you see one you like send me an email as these have been going very quickly! This agate is thought to provide you with strength and protection. It makes an excellent gift for travelers. 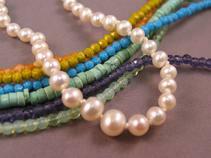 The three below are mixed with freshwater pearls. 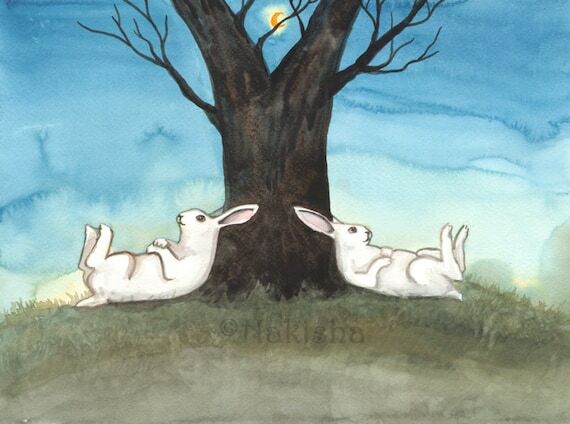 It enhances personal connection to one's past lives. It also promotes inner stability, composure and maturity. And it helps new mothers avoid depression and it encourages self confidence. These earrings use sterling sivler wire hand formed and hammered into shape. The one above and below are chocolate brown seed beads mixed with pewter as requested by a customer. Hopefully she will see one she likes! The outside strand of seed beads used in the one below is a warm chocolate brown vintage Czech glass. Shop Local, Shop Handmade - This Weekend! So many options for shopping local and handmade this weekend in my area. For events in your local community check newspapers, Craigs list, digital bulletin boards, local arts organizations websites and friends Facebook pages. For those in my neighborhood, make a weekend of it! Spend one day in the north doing the Bainbridge Island Studio Tour. Dec 5, 6, 7 visit nine artists studios and community halls and shop from the wares of 60 incredible artists. A few to look for include: Robert Spangler Studio, Pam Sanders Urban Artifacts at the American Legion Hall, Kim Pinkerton at Seibert Pottert Studio, Dixie Armfield-Rogerson of Easter Wind Glass at Seabold Hall, Hayden Starbuck at the Grange Hall, and Marguerite Wagner at Hidden Cove Pottery Studio. Visit the website for a map and list of artists. You could incorporate stops at the venues of Christmas in the Country also on Bainbridge Island this weekend. Download a map from their website.You will find the lovely votives from Corenas Creations at Yeomalt Cabin, Picket Fence Designs oilcloth totes at Lynwood Commons, experience pony rides at Countryman Stables and join Intentional Table for lunch at Sweetlife Farm. You can see a full list of artisans and locations on their website. For day # 2 head south. On Saturday you could do a quick stop at the Burley Bazaar for a concert and visit with Santa. Then it is on to Gig Harbor High School and Tidefest. There you will find 200+ artisans including Beadware, and Botanical Creations, Jordans Pet Gifts (great collars! ), Blackwaters Metal Art (perfect for the garden),and SuStudio jewelry. Check the list on the Tidefest website for all the artisans. So many options and so much gorgeous art. No reason not to shop local for your holiday gifts. Discover artists whose work you love! Grab a business card and you will have sources for great gifts in the future. Supporting your local artisans keeps money in your community and helps to ensure we all have a happy holiday! Shop Local, Shop Handmade - Snooter-doots! !